We would like to introduce you to Jackson, a young man from Las Vegas in the 5th grade at Smalley Elementary School in Henderson, NV. 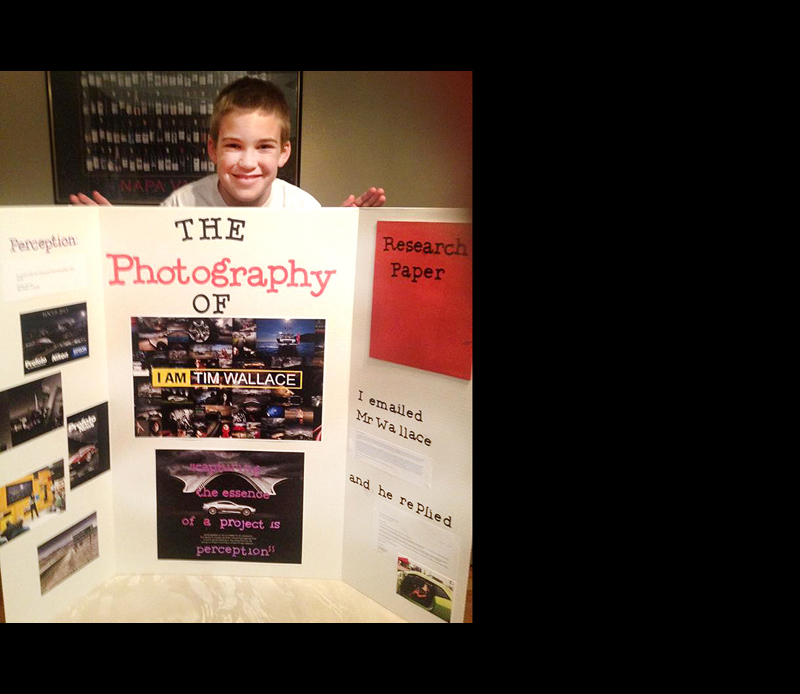 Jackson had been given an assignment to do for his class for a Perception Fair Project and he is a huge car fan and decided to write to Tim at AmbientLife to ask if he could do his project work based around what Tim does photographing cars. My name is Jackson Warner. I'm in the 5th grade at Smalley Elementary School in Henderson, NV. That's near Las Vegas. 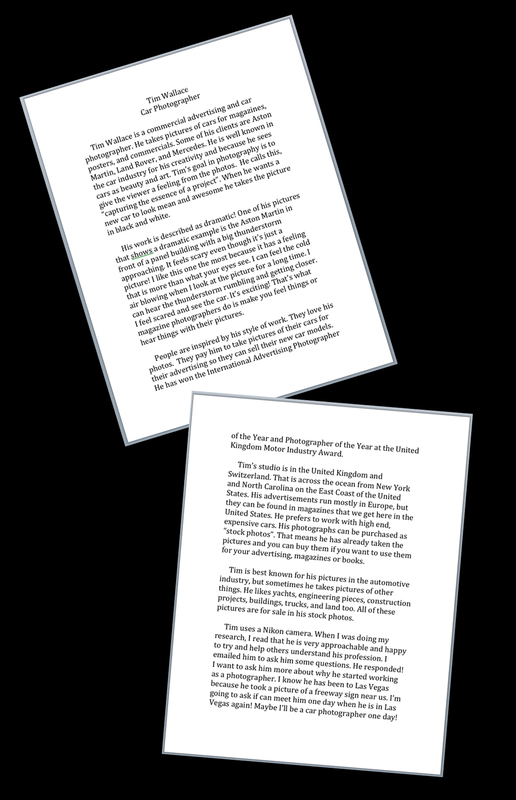 I have been given an assignment in my class to do a Perception Fair Project. One of the categories is photography. We can pick any famous photographer. I've picked you because I love cars too! I have high functioning autism and cars are my favorite thing to help me relax. 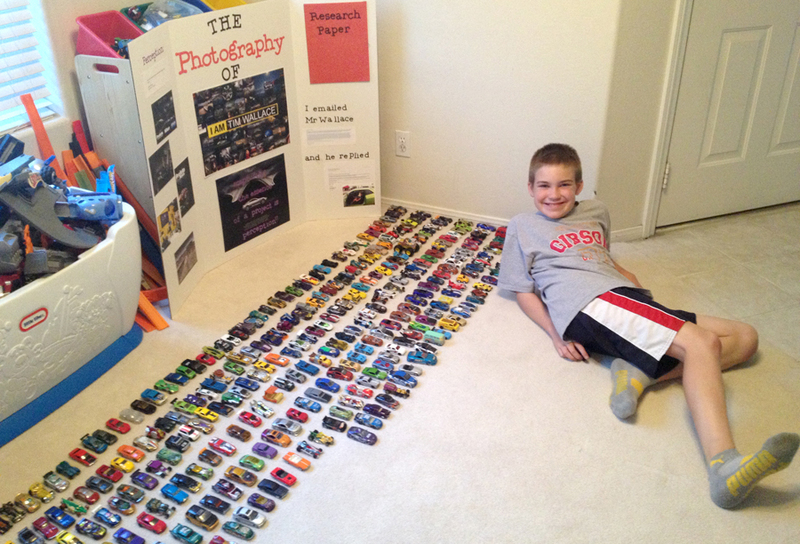 I have thousands of Hot Wheels! I wanted to use a couple of your pictures on your website to show how you take pictures of your cars. Is that okay? 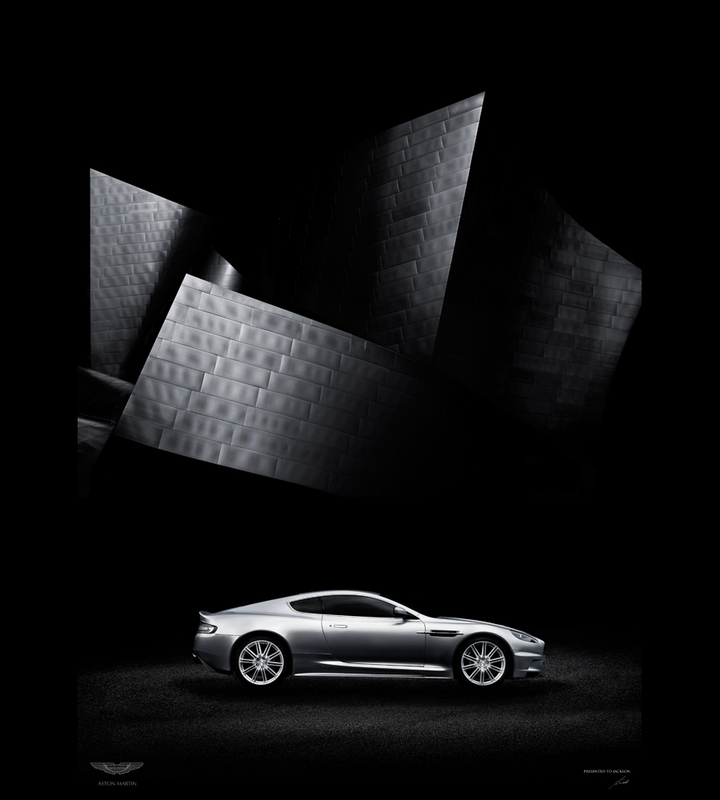 I love the black and white one of the Aston Martin in front of the paneled building with the storm clouds over head. I can hear the coming storm and feel how cold the wind must be! That's why the picture is black and white. No color means cold! It is as cold as the air conditioning coming from the vents on a hot summer day in Las Vegas! I love the way the interior of a new car smells. All cars smell different. What do you hear and smell when you take these pictures? Do you ever start the engines for inspiration? They all sound different. It makes me smile to hear an engine start. I like the ones that start loud and hum quietly before they move! I can feel the engine in the air around me! It touches my skin like it has fingers! I hold my breath waiting for the engine to start. Then when it starts, I breathe in. Do you feel like that when the take the photo? Do you remember smells when you look at the photos you took?